WASHOE COUNTY! 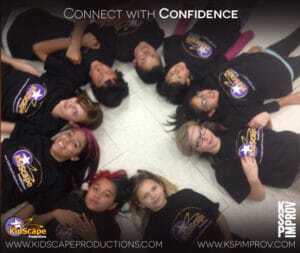 SPONSOR LOCAL YOUTH IN KIDSCAPE PRODUCTIONS! KidScape Productions is currently running afterschool programs in Washoe County and we are thrilled to announce this is our eighth successful year. Contributions are currently needed to provide scholarships to our local youth to attend our effective communication and life skills classes. Cost per student per session is $150 which gives a student ages 5-17 the opportunity to attend approximately 12 hours of instruction. 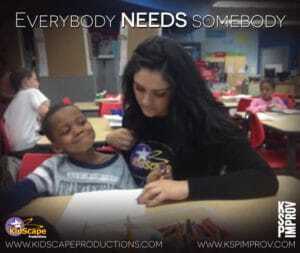 As you may know, children in our area have a lack of After School Programs and are in need of programs that support personal enrichment, with the generous support of people like you, KidScape Productions will be able to continue helping these children/teens with important skills for school and beyond! In this program student’s learn through a professional, hands-on drama curriculum which instills Self Confidence, Self Esteem and Social Skills. 100% of the donations will go to a child/teen attending classes in their after school program. The checks must be written to WCSD Volunteer Services, noted for KidScape to be deposited. your donation is tax deductible. Upon receipt of your donation you will be given the approved IRS tax exemption number for your records. These donations can be postal mailed in to KidScape Productions 10580 N. McCarran Blvd #115-293 Reno, NV 89503. (Donors will receive no goods or services for their donations). Your tax-deductible contribution makes a lasting difference to the young leaders in our program. Thank you for your support and for caring about our local youth and their future success, together we can be a part of helping our future leaders!